WinX DVD Ripper Platinum is still one of the best premium DVD rippers out there. But now, they have a new trick up their sleeve. Apparently, there is something left to impress me: hardware acceleration. In my previous review, I said that ripping a feature-length DVD took about 45 minutes. Now, WinX DVD Ripper Platinum can rip a DVD in about 5 minutes. 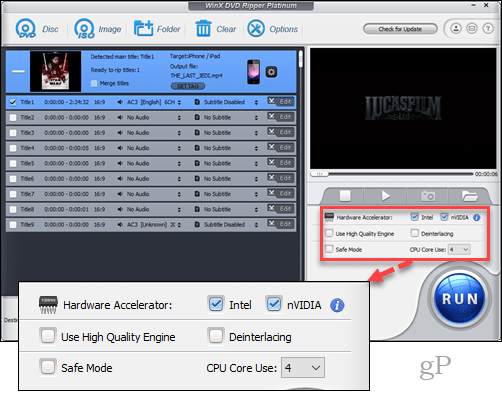 Digiarty, the developer for WinX DVD Ripper, has spilled a lot of ink explaining the technical wizardry that makes their hardware accelerated DVD ripper possible. But for the less geekily inclined, I’ll break it down for you in layman’s terms. I promised I wouldn’t get too geeky, but let me explain briefly. When you do normal computer tasks, all that data gets crunched through the CPU—that is, the central processing unit. Even with multiple processing cores, there are limited resources available for processing data. Imagine it like a supermarket with one checkout line open. With so many shoppers buying so many different items, it creates a bottleneck. Now, imagine that the store manager comes out and opens up two new express checkout lines. These are for lines where people are only buying non-produce items and only paying with credit cards. Everyone waiting in the long, regular lines move over to these two new lines and things speed up across the board. That’s essentially what QSV and NVENC are: express checkout lines for processing video. When you select the Intel and nVidia checkboxes in WinX DVD Ripper Platinum, your computer starts using three different processors to rip your DVD, two of which are specifically designed for quickly processing video. 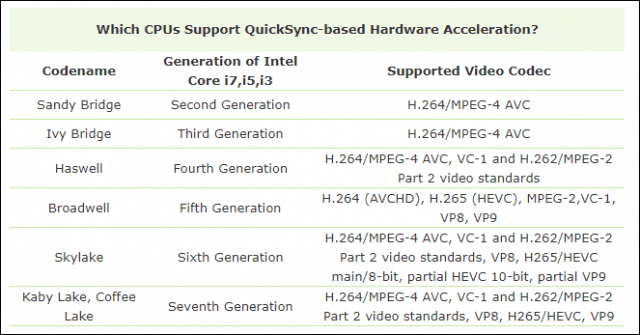 Does My Computer Support Hardware Acceleration for DVD Ripping? The technology that WinX DVD taps to speed up your DVD rips isn’t exactly new. What’s new is the way their software makes it all work together. Intel introduced QSV in 2009 with its Sandy Bridge CPU architecture. 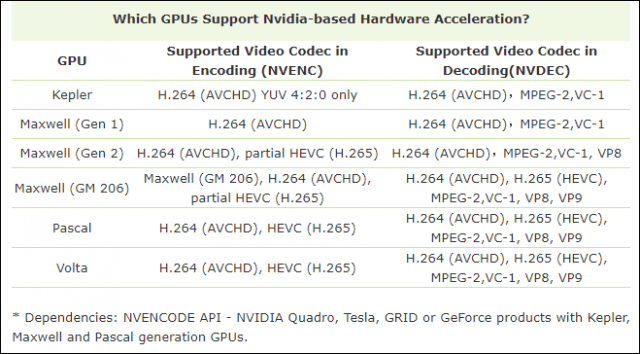 NVIDIA rolled out NVENC with its Kepler-based GeForce 600 series in 2012. So, even if your computer is five or more years old (like mine), you can probably take advantage of the hardware acceleration features. I realize you might not know what architecture your CPU is or if your computer has a GPU in it. Usually, there will be a sticker on your computer that indicates what generation of Intel processor you have and if it has a graphics card in it. So, How Fast Can This Thing Really Go? Digiarty boasts ripping times as low as 5 minutes on their website. Of course, it’s heavily caveated with the obligatory “your mileage may vary” disclaimer. In the test case they use, they ripped a new DVD made in 2018 that was 7.16GB for a 1:32:12 long film. The computer they used was a Windows 10 (64 bit) PC with Intel(R) Core(TM) i5-3470 and a Nvidia GeForce GTX 750. That’s a pretty average computer by most standards—definitely not a high-end gaming PC. Another one of the benefits that WinX DVD Ripper Platinum touts is its ability to run parallel processes. Since the QSV die on your CPU and the GPU do most of the heavy lifting, the rest of your processing resources are free to do other tasks. That means you don’t have to quarantine your laptop for hours while you rip your DVD collection. You can continue to use your computer for browsing the web, watching videos, etc. while your DVDs rip in the background. In fact, I’m ripping a DVD right now as I write this, take screenshots, edit images, and upload them to WordPress with no issues at all. For my test, I used a fairly beefy system with pretty much the fastest CPU, GPU and Hard Drive on the market. DVD – 85 minute DVD. For the first test, I used only the Intel CPU Hardware Accelerator by checking the box Intel. I left all the settings at their default values including Bit Rate (Quality) and Frame Rate, Aspect Ratio and Resolution (keep origin). 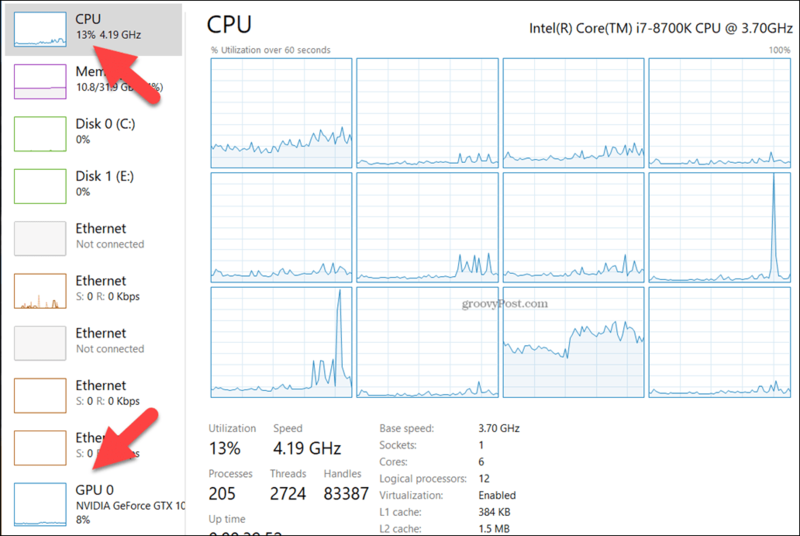 Not surprisingly, as soon as I kicked off the test, my CPU spiked from 3% CPU to 65% – 70%. With the added load on the CPU, the temperature jumped from 30°C to 59 – 60°C and as I moved around a few apps, I could tell the system was under a heavier load than normal but still usable. For my second test, I enabled both Intel CPU and NVIDIA under Hardware Accelerator. 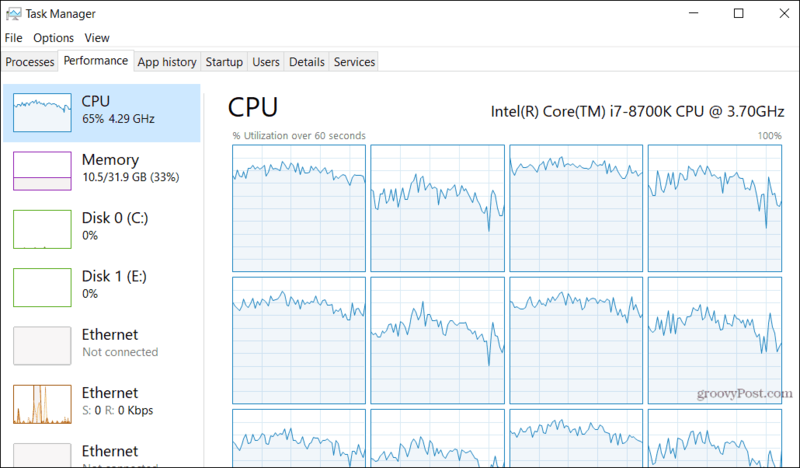 Similar to the first test, the CPU did jump however just barely, never rising above 15% utilization. The GPU also barely moved, hovering around 8% utilization throughout the rip. Result: Total rip time: 6 minutes, 22 seconds. Overall, the Hardware Acceleration worked really well, however, adding in the GPU sped up the rip by 38%. I ran a few more tests to see if I could tax the GPU but unfortunately, I think I hit the max read time of my old DVD drive. Even though I increased the Bit Rate and Resolution to max settings, the GPU chewed through it without an issue, resulting in only slightly higher rip times. I can only imagine how fast it would have worked if I’d had a newer DVD drive. WinX DVD Ripper Platinum: Is It Worth It? As I mentioned in my earlier review, WinX DVD Ripper Platinum is not free. The retail price is $67.95, but most of the time you can snag it on sale for around $47.95. Today, there’s an Anniversary Offer running for the next few days for $39.95. That gets you lifetime free upgrades, so if you bought WinX DVD Ripper Platinum when we reviewed it last, good news, you can get the latest hardware-accelerated version for free! For those who are new to WinX DVD Ripper Platinum, my opinion is the same as before: although it’s a paid product, it simply works better and faster than the free alternatives. This new version is significantly faster, meaning it’ll save you hours of time depending on how big your DVD collection is. But most importantly, it works on certain DVDs that other ripping programs won’t rip. If you want a detailed walkthrough of the features and interface, go read my previous write-up of WinX DVD Ripper Platinum. That being said, here comes the obligatory legal disclaimer: the laws about digitizing copies of your own legally purchased DVDs for personal use vary widely depending on what country you live in. While pirating movies is always unethical and illegal and will likely get you busted, you should know that making copies of DVDs just so your kids can watch it on your iPad is also sometimes not technically allowed (I know, right?). There’s a good Wikipedia page that gives a good overview of the laws for each country, and I recommend starting there to determine if it’s okay where you live. But the bottom-line is this: I use WinX DVD Ripper Platinum. I like it a lot. My time is worth something to me. And let’s be real—how much longer do you think computers are going to come with DVD players? I have four computers in my house and exactly one of them has a DVD drive in it. And none of my smartphones or tablets have DVD drives in them (shocked?). Once DVDs start to go extinct, I can either re-buy all the DVDs I already paid for that didn’t come with digital copies, or I can rip them now and be set for life. Editors Note: Performing copies of DRM protected DVD’s is not legal in all countries. With this in mind, we recommend each reader check their local laws prior to using software which removes DRM encryption.